It's coming, but not for long. The Nokia Lumia 510 is on its way to the UK, the Finnish manufacturer has confirmed, after demand from retailers. Announced back in October the Lumia 510 was initially not destined for our shores, but it seems Nokia has made a U-turn on this decision. A Nokia spokesperson told TechRadar: "We had a lot of enquiries from customers for the Lumia 510, there's quite a bit of demand; we're expecting it to be ranged at one of the retailers, but it's obviously a Windows Phone 7.8 device so it's going to be a short term device. We're fulfilling a demand." 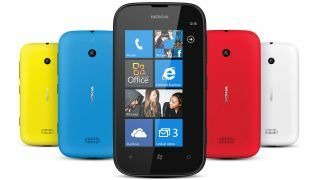 Just how short term the Nokia Lumia 510 will be is still unclear as Nokia is keen to phase out its Windows Phone 7 devices and focus its range on Windows Phone 8. Spec-wise the Lumia 510 is your run of the mill entry-level smartphone packing an 800MHz single-core processor, 4-inch WVGA display, 4GB of internal storage and a 1300mAh battery. It will be interesting to see which networks pick up the Lumia 510 and the price tag which is attached to it, as it's similar to the WP 8 toting Nokia Lumia 620 which went on sale today.